Formed in 1984 in Krefeld, Germany, by Hansi Kürsch (vocals, bass) and Andre Olbrich (guitar). 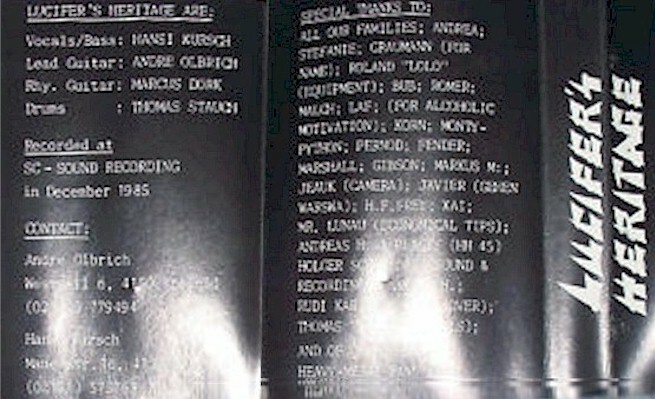 The band first released two demos in 1985 and 1986, despite undergoing chaotic lineup changes: Markus Dörk (guitar) and Thomen Stauch (drums) were replaced by Christof Theißen and Hans-Peter Frey, respectively. Finally, in 1987, Marcus Siepen joined and Thomen came back to form the lineup which would stay consistent for the next 18 years. 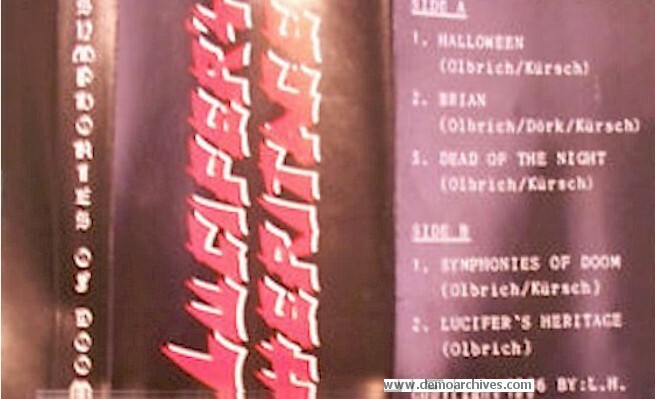 After Lucifer's Heritage signed a contract with No Remorse Records, the band changed their name to Blind Guardian. Pro printed covers. No lyrics. Studio tapes.